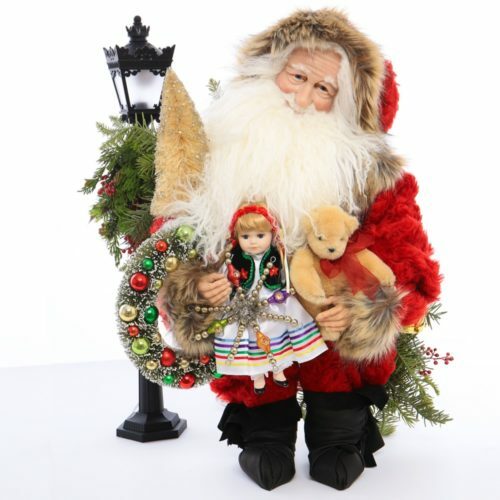 Mountains Bow Down is a wonderful 26-inch woodland Santa perfect for your cabin or natural decorations. He is dressed in a sage green velvet cloak trimmed with luxurious brown faux fur. He is adorned with handmade snow shoes and canoe made by Native Americans in Canada. 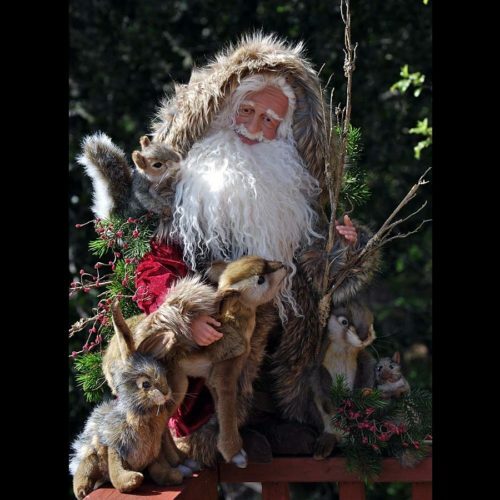 He is accompanied by his friendly coyote, as well as a mouse, squirrel and rabbit tucked away in his canoe. 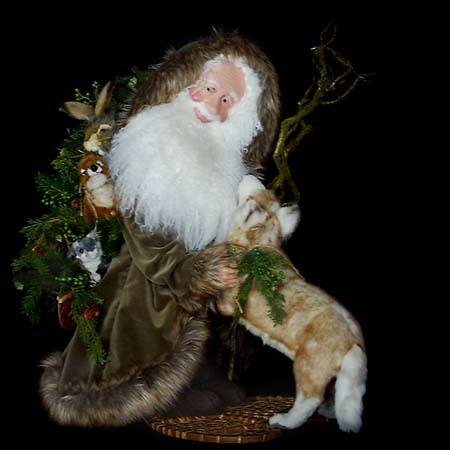 His long Tibetan wool beard brings added warmth to this collectible. 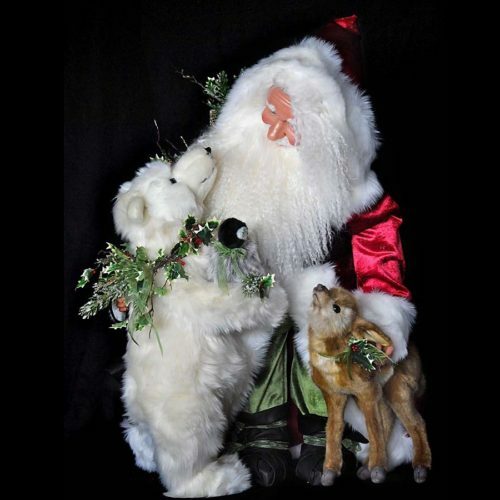 His face is hand sculpted from polymer clay, and Mountains Bow Down is sure to delight even the pickiest of Santa collectors.